Made with REAL fresh lemons and pure Wisconsin Honey! 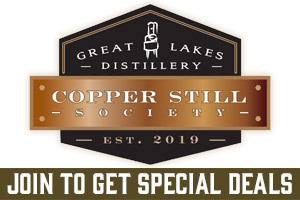 Any distillery can make a citrus vodka, and most do. What makes ours different is our hand-crafted approach. 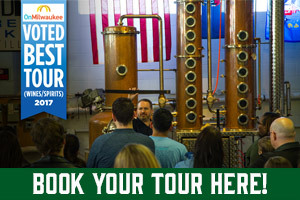 We use real fruit, unlike most distilleries that typically use industrial flavorings. Their vodkas taste like candy, ours tastes like real fruit. Try it against any other citrus vodka and we're convinced you'll appreciate the REAL difference! We also use pure Wisconsin honey in our citrus vodka. The honey gives our vodka a unique taste and produces a smoother finish. Our honey comes from Wisconsin Natural Acres- These artisan beekeepers, like us, know that sometimes the old methods are better. They produce the purest honey available from Alfalfa, Clover and Basswood, use no additives and do not blend with foreign or inferior honey. The honey in our vodka adds an interesting twist to cocktails you typically may drink with a citrus-only vodka. Try it in a Martini! 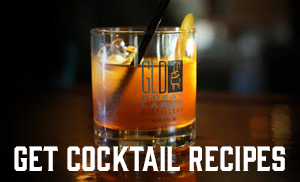 It makes an awesome Cosmopolitan and great with tonic, cranberry juice, or ginger ale. 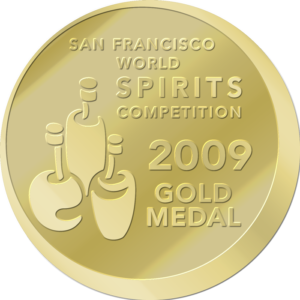 Gold Medal Winner- 2009 San Francisco World Spirits Competition. Beverage Experts had this to say"...The palate echoes the nose with the honey contributing the perfect platform to carry the bright citrus notes rather than offering sweetness, which is the downfall of so many flavored vodkas..."
Anne Schamberg of the Milwaukee Journal Sentinel had this to say about our Citrus & Honey flavored Vodka "... not at all sweet, might well be the all-time winner when it comes to vodka and tonic". 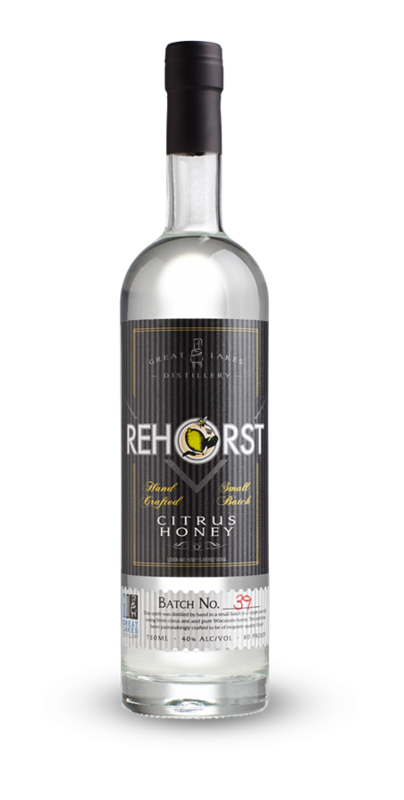 The Spirits Review rated Rehorst Citrus Honey Vodka 9 out of 10, calling it a damn fine citrus vodka. Contains 40% Alcohol By Volume (80 Proof).